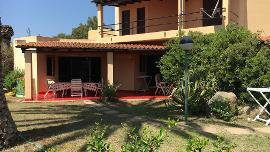 The villas in Costa Rei of the Holiday Residence are independent villas, some by the sea, that can accommodate up to 7 people. They are elegantly decorated and equipped with all amenities. 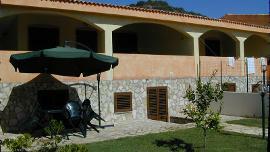 They are perfect to enjoy a great vacation in Sardinia, one of the best summer destinations. On Sardinia's Eastern coast, Costa Rei stretches for 10 km from Porto Pirastu to Punta Santa Giusta. Costa Rei is a summer village, mainly made of second homes and holiday rentals, divided into several areas: Sa Perda Niedda, Sa Murta, Le Ginestre, Gli Asfodeli, I Ginepri, Turagri, Rei Marina and Rei Plaia. The 9 kilometer long beach is divided into several small beaches, all with the same characteristics: gorgeous thin white sand and shallow waters. Within the small hamlet, populated almost exclusively during the summer, there are three squares where all the services and tourist attractions are concentrated. Costa Rei's main squares are: Piazza Rei Marina, Piazza Italia and Piazza Sardinia, with several shops, restaurants, pizzerias, and they liven up the summer nights for tourists. The small villas are located at different distances from the sea, the Seafront Villa is right in front of the beach, for a living room surrounded by a pristine nature. Trilo apartment (60 m² accommodates up to 4 people) upperfloor, with panoramic terrace equipped with table and chairs, barbecue, external shower. Inside there is a bedroom with a double bed, a second double bedroom, living room with couch and Tv, dining area with equipped kitchenette, and a bathroom with shower. Modern furniture design. It is equipped with a washing machine, air-conditioning. Reserved parking place in front. 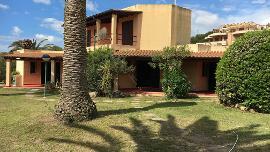 Located in Costa Rei “Valle degli Oleandri”, the beach is at 600 m. distance from the apartment and at about 300 m. to the center of the touristic place. Charming villa only 50 meters from the beach of Costa Rei, it boasts a big garden on three sides, equipped with a barbecue. It has a private parking space. 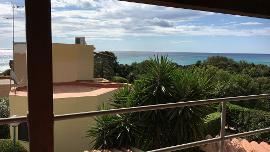 The small villa is located 500 meters from the beach of Costa Rei and really close to the town center, about 250 meters away. Small two bedroom villas consisting of a living room with kitchenette, single sofa bed, master bedroom, bedroom with twin beds, bathroom with shower, covered veranda, outdoor shower and barbecue in the garden. Veranda equipped with a table + 2 sun loungers. Each apartment also features a safe, TV, air conditioning and washing machine; they can accommodate up to 5 people. 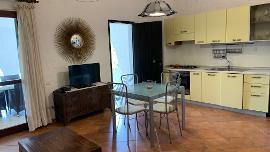 Studio (35 m² accommodates 2 people). Located on the ground floor with furnished patio and garden with barbecue and external shower. Inside there is a double bed, a couch, a small kitchen-corner with fridge, 2 electric plates and microwave oven, and bathroom with shower. Air conditioning, private parking place. 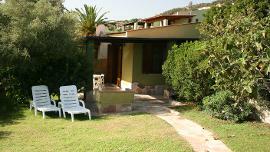 The beach is 30 m. distance from the apartments and can be reached by foot, crossing the garden, with direct access. Studio (35 m² accommodates 3/4 people). Located on the ground floor with furnished patio and garden with barbecue and external shower. Inside there is a double bed + extractable bunk beds, a couch, a small kitchen-corner with fridge, 2 electric plates and microwave oven, and bathroom with shower. Air conditioning, private parking place. The beach is 30 m. distance from the apartments and can be reached by foot, crossing the garden, with direct access. Trilo apartment with garden - groundfloor (60 m² accommodates up to 5 people): living room with equipped kitchenette and a sofa bed (french bed), a bedroom with a double bed, a smaller bedroom with bunk beds, and a bathroom with shower. Outside there is a furnished patio with garden, equipped with table and chairs. It is equipped with a washing machine, air-conditioning, TV, barbecue and external shower. Reserved parking place. 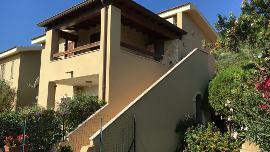 The beach is 30 m. distance from the apartment and can be reached by foot, crossing the garden, with direct access. Trilo apartment with balcony – upperfloor (60 m² accommodates up to 5 people): living room with equipped kitchenette and a sofa bed (french bed), a bedroom with a double bed, a smaller bedroom with bunk beds, and a bathroom with shower. Outside there is a panoramic balcony equipped with table and chairs. It is equipped with a washing machine, air-conditioning, TV, barbecue and external shower. Reserved parking place. The beach is 60 m. distance from the apartments and can be reached by foot, crossing the garden, with direct access.